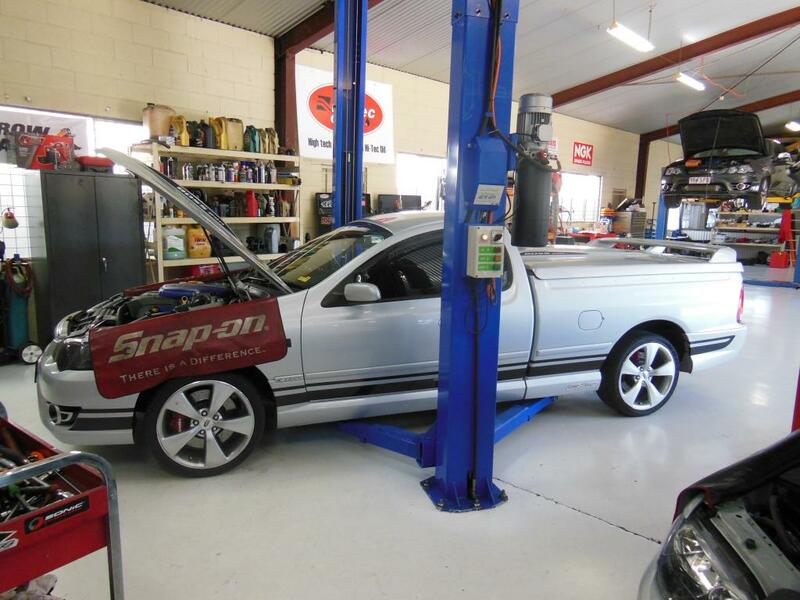 Real Dyno Performance specialises in Ford BA-FGX and late model Mustang log book servicing and also offers a range of services for any Ford or FPV car including suspension and brake servicing; dyno tuning; SCT Flash tuning; exhaust systems; supercharger/turbo kits and upgrades; performance packages. We also stock a large range of vehicle parts of the best brands – reducing waiting time for ordered parts. At Real Dyno, we pride ourselves on our quality service at reasonable prices. 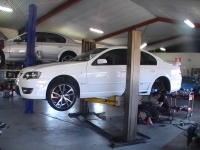 As an Real Dyno customer, throughout your service you will receive: • Personal Contact – from our highly experience counter staff, • Log Book Servicing – • Parts Guarantee – we only use brand name parts that we know and trust and stand behind our service and parts • Respect – we use show car guard protectors at all times. Additionally, we do not road test cars without customer approval, and vehicles are not parked on the street. Most importantly, our Quality Assurance approach to every aspect of our operations means that you receive top notch service every time. Real Dyno Performance offer full log book servicing and tuning providing quality assurance at a much cheaper rate than your local dealership. From regular services, repairs, diagnostics checks, brakes or suspension, we are able to care for almost all Ford BA-FGX and late model Mustang vehicles. Contact us for any questions or pricing on our log book servicing. Real Dyno offers Dyno tuning on Ford BA-FGX and late model Mustang 2wd cars on our state of the art Mainline Dyno for both power and economy. 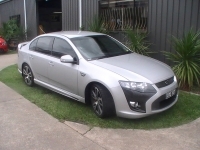 Whether you want to improve the drivability of your daily drive or get even more power from your performance vehicle ‐ within our Dyno cell our clients experience outstanding results with tuning performance, economy and drivability using our Dyno tuning expertise on a large range of Ford & FPV vehicles. Why not ring us at Real Dyno for your next tune and service? We supply and fit a large range of exhaust systems for any car type. Whether its a header install, street system or all-out race system you are after, talk to one of the friendly staff at Real Dyno for the best advice. We stock and fit a large range of suspension and brake parts for most vehicles. We carry a range of quality brands including XYZ, Pedders, King Springs, Bendix, DBA and PBR.We can install parts and packages to suit street, drag and circuit applications, contact Real Dyno for the latest prices. Real Dyno specializes in performance vehicles and would love to help put more grunt in your car. Please call us today or drop in for a chat. Real Dyno are now offering performance upgrades for the new Mustang and FGX Falcon – choose from the menu above for our performance packages. Real Dyno has a large network of suppliers all over the country. This allows for convenient parts purchasing without the hassle of ordering as well as shorter service time, cutting down on the waiting period for ordered parts.